Last year for Christmas, Jenn got me an interesting little fiddly bit called Tea Forté — tea bags that are geared toward infusing booze with interesting tea flavors. I haven’t really had much chance to play around with them. But, since I have a short rehearsal tonight, I figured it couldn’t hurt to play around for a bit. So, I made something that I thought might taste interesting. Put your two vodkas into a cocktail shaker and shake thoroughly until cold. 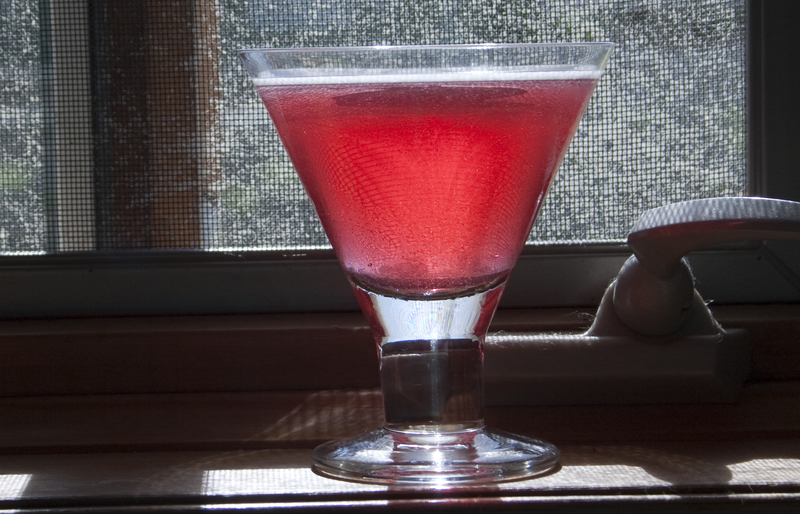 Pour into a chilled martini glass. Top with ginger ale. Interesting flavor. The tea flavor is kind of subtle, but the lavender and the pear work well together. The ginger ale adds a needed sweetness and bubbliness to what had too much burn when served by themselves. The first couple tastes I wasn’t sure if I liked it or not, however, after I let it sit and the flavors mix for a little bit longer, the more I liked it. It’s both subtle and strong. I approve.